Please join Edward Morris, one of CSTMS’s new Artists in Residence, for a lunchtime discussion of a film he co-produced with Susannah Sayler. Morris will screen a film from their installation titled “Their World is not Our World,” which will soon go on display at the North Carolina Museum of Art. 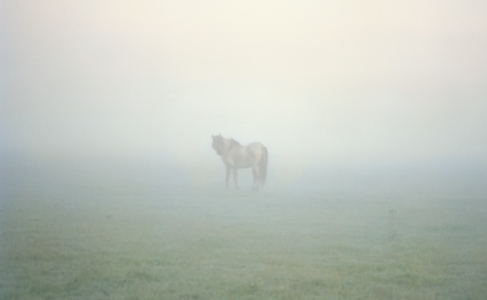 The video examines the Oostvaardersplassen, a fantastical manmade “wilderness” about 20 miles from Amsterdam. Morris will facilitate a discussion after the film and host a Q&A. Anyone interested in animal studies, GMOs, and landscape are especially welcome to join. See more here. He will also be presenting his recent work at the CSTMS Spring Reception later in the afternoon. That project, also in collaboration with Susannah Sayler, focuses on water resources in California and Ecuador. Morris will be introducing some of the projects they plan to complete in the coming year, while he and Sayler are the CSTMS Artists in Residence.